I was due for a silly family photo. Katrina, Colette and I had a lot of fun at Disney this past Thanksgiving weekend. 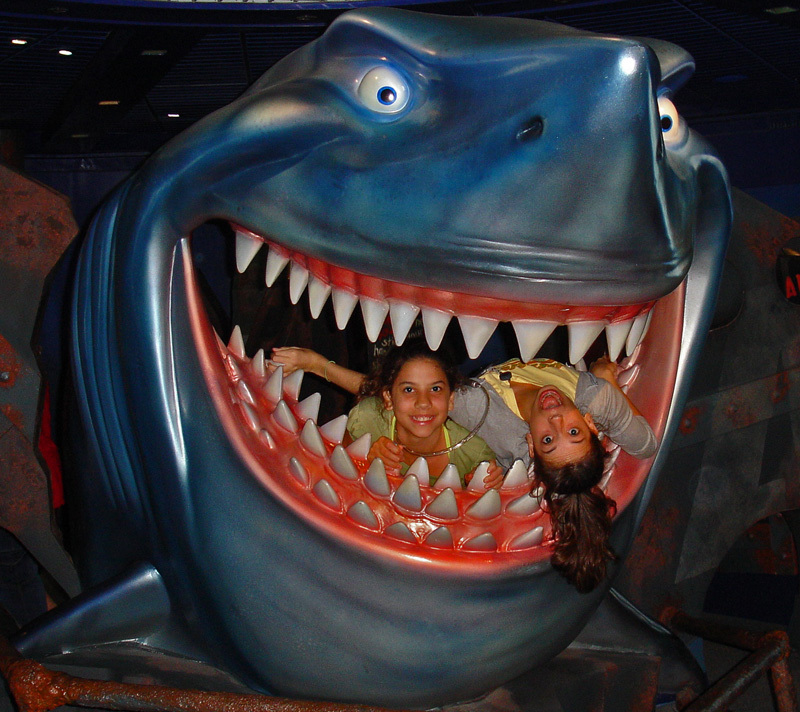 I think Katrina looks evil because she's holding onto the teeth while Colette is being eaten! I wanted to post pictures that reflect what I treasure in my life as well as those that are, what I think, nice captures. For me, capturing these two personalities was a good catch!